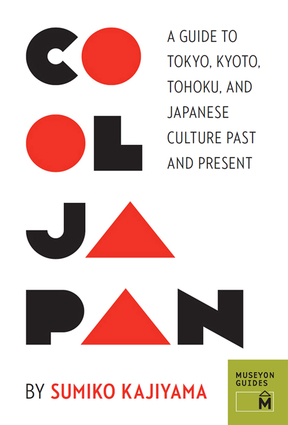 Written by local expert Sumiko Kajiyama, Cool Japan is a three-part travel guide that explores the heart of Japanese culture and must-see places from a uniquely Japanese perspective. First, visit Kyoto, where you will discover 1,000 years of history from the ancient love story the Tale of Genji to the traditional tea ceremony. Then head to Tokyo to experience Japan's cutting-edge capital, where the 21st-century kawaii culture collides with landmarks like the Kabuki-za Theater and the ImperialPalace. For a different perspective, venture outside the city to the serene towns of Tohoku, the region largely affected by the 2011 tsunami disaster. Informative, entertaining, and useful, this book is an ideal introduction for any traveler looking for a deeper understanding of Japanese culture, past and present. Sumiko Kajiyama is a journalist and scriptwriter and the author of The Creative Work Style by Top Producers, GHIBLI Magic, The Man Who Changed Animation Business, and New Rules to Be Happy with Your Work. After working as a TV show director at KTV in Osaka, she lived in the United States for more than eight years while getting her master's degree from New YorkUniversity and working at the Yomiuri America newspaper.